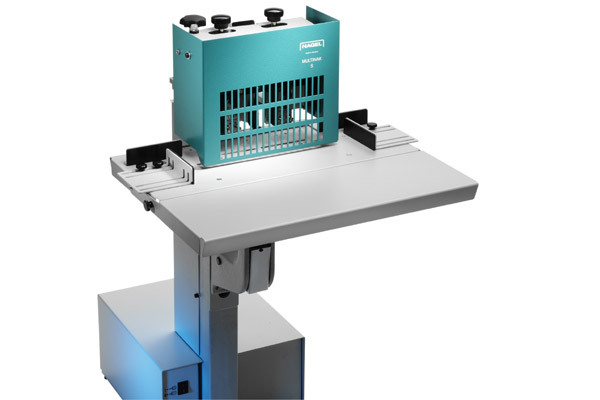 The Multinak S is a twin-headed stapler with electric drive that staples booklets and pads up to 27 mm. The machine is particularly efficient when it is used for frequently changing run lengths. Its versatility and durability have made it indispensable to the graphic arts industry. The changeover from flat to saddle stapling is made by simply flicking over the table. The robust design of the machine and the integrated powerful and silent special gear motor make it perfect for high-volume applications. 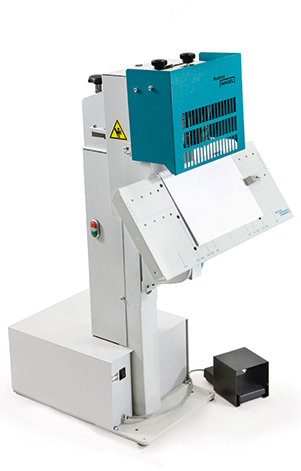 The precision stapling heads ensure a high reliability; all wear parts can be easily replaced. 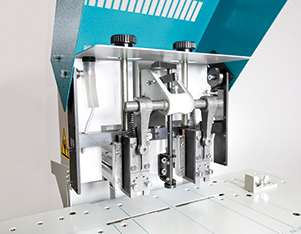 The Multinak S can process staples of 5 different wire thicknesses, including loop staples. Alternative stapling heads are available for pads between 15 and 27 mm. Mobile clenchers press the staple ends flat against the paper. The distance between centres is adjustable between 80 and 155 mm. Special clamps for small formats hold the stock down and ensure an even better centering.